When I moved from my home country the Netherlands to Santa Barbara last year, I was 7 months pregnant with our first baby. Exploring my new homestead with a big belly, I first heard about the Foodbank of Santa Barbara County at a sustainable foods fair at the UCSB. Two passionate Foodbank volunteers told me about millions of pounds of healthy foods sourced by the Foodbank each year for their 300 non-profit partners, as well as the Foodbank’s in-house programs that empower people who face food insecurity with free nutrition education and improved access to healthy foods for program recipients and their families. I believe it as an advantage that the United States has had a far longer tradition of food banks than my country of origin. While food banks in the Netherlands focus majorly on giving out foods to low-income people, the Foodbank of Santa Barbara County builds on an ever increasing amount of knowledge about nutrition and has created best practices to share this with the community such as teaching people about healthy and affordable foods, empowering community leaders to build stronger local networks and establishing innovative partnerships with health organizations in the community; these activities unknown to most of the food banks in the Netherlands. I immediately felt passionate about working for the Foodbank and I finally got the chance about 8 months ago and ever since have been very happy to use all of my previous working expertise and efforts to roll out Foodbank’s new nutrition education program for people living with diabetes that also deal with food insecurity. I am grateful for the partnerships we’ve established with health organizations in both Santa Maria and Santa Barbara that increase our impact and compliment our individual strengths. 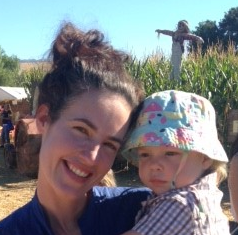 My daughter, Lea, is now 15 months old and being a mother makes me even more aware of the importance of improved access to healthy foods for everyone. Being able to provide my child with nutritious foods is a blessing and unfortunately not a straightforward thing for every parent, while it should be. Everyone at the Foodbank works hard to see this changed and it is only through generous donations and strong partnerships in the community that we can continue our work. Tonja van Gorp is the Community Programs Coordinator at the Foodbank. This entry was posted in The BEET on October 27, 2016 by Judith Smith-Meyer. 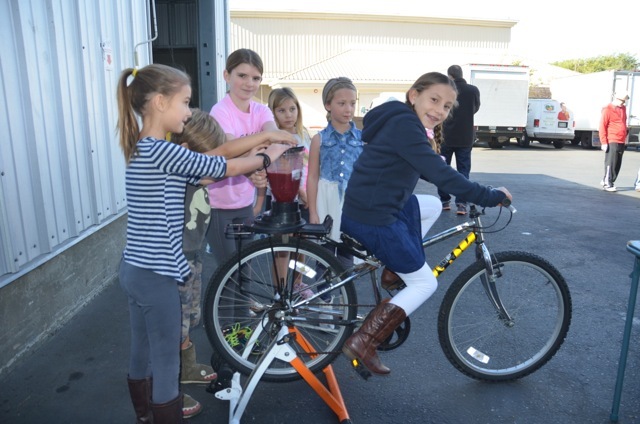 Join us for a special Saturday Family Day this November 12 at the Santa Barbara warehouse. We are hosting a Thanksgiving food drive and volunteer festival. Bring your food donations to drop off: frozen turkeys and chickens and foods from the list in the link below. We will have bike blenders for the kids to make smoothies, volunteer activities for the whole family, Apples to Zuchinni Cooking School will teach kids to make a healthly snack and Spencer of Spencer the Gardner will perform his “Gobble Song” live. Come join the fun and help the Foodbank! We will run these activities all morning so feel free to come when you can and leave when you need to! This entry was posted in Events on October 27, 2016 by Judith Smith-Meyer. The Foodbank of Santa Barbara County invites the community to help “fill the bowl,” and join them at the 19th Annual Santa Barbara Empty Bowls fundraiser from 11 a.m.-2 p.m. Sunday, Nov. 13, at the Ben Page Youth Center, 4540 Hollister Ave. This entry was posted in News on October 24, 2016 by Judith Smith-Meyer. For those in the community who live with food insecurity, it can be hard to navigate healthy eating. Paired with Type 2 diabetes and the dietary and physical requirements involved, the challenge becomes even more difficult. On Saturday, October 8, more than 200 supporters of the Foodbank of Santa Barbara County celebrated in style at the fifth annual Table of Life Gala held at Jim and Stephanie Sokolove’s picturesque Montecito estate. In the process, they raised more than $250,000. The Foodbank of Santa Barbara County‘s 5th Annual Table of Life Gala, bringing together food and wine enthusiasts for an evening of indulgence, while supporting the Foodbank’s critical efforts to teach nutritional health to children. 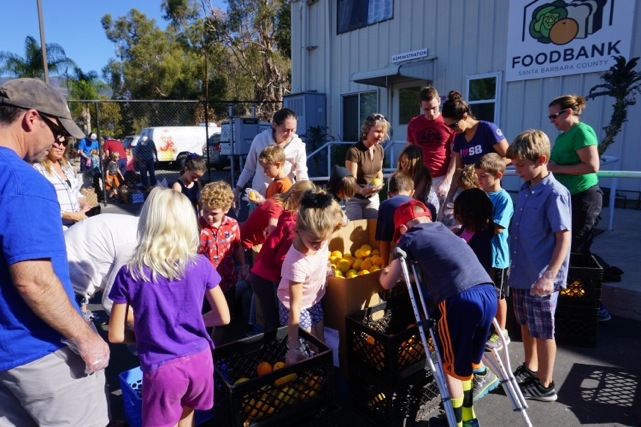 This year, Foodbank honors Maryan Schall and Deckers Brands for their leadership and dedication to improving food security in Santa Barbara County.